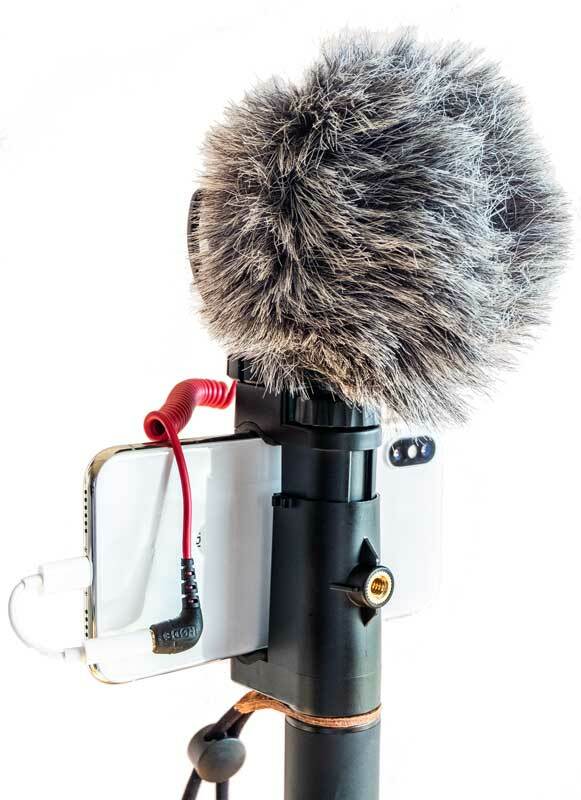 If you want to connect your mic to your iPhone then you could sacrifice one of Apple’s lightning to 3.5mm adaptors. The clamp will undoubtedly break the wire over time as it squeezes it at 90 degrees though. Or try these right angled lightning cables, or here’s an adaptor that might help too. Here’s a new device that looks interesting too. 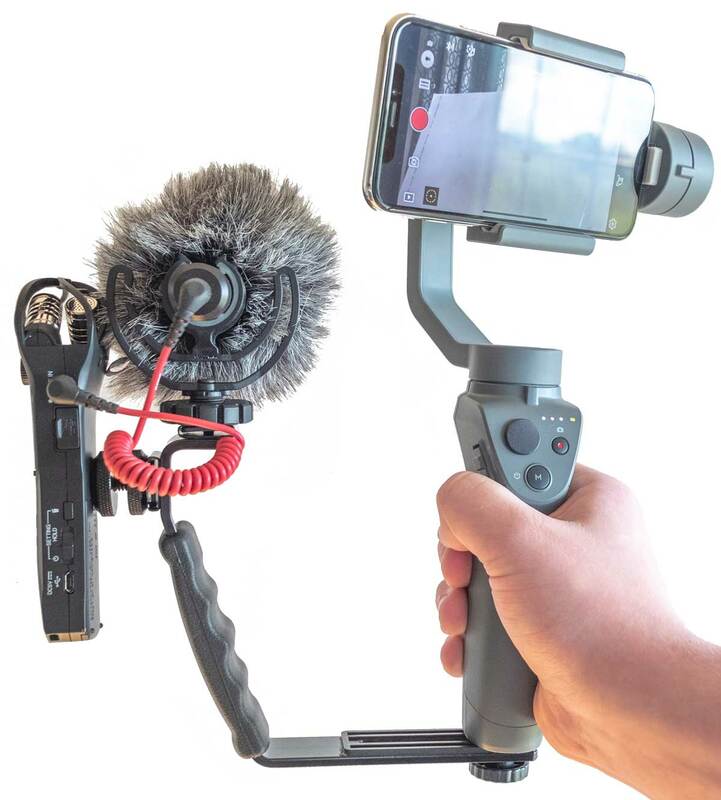 Specially designed for DJI Osmo Mobile 2 and original Osmo Mobile Gimbals, the Zhiyou O-Ring Hot Shoe Adapter clamps around the grip and provides 2 cold shoe mounts plus three 1/4-20 threaded holes. If you have any other useful tips to improve this setup let us know in the comments below. 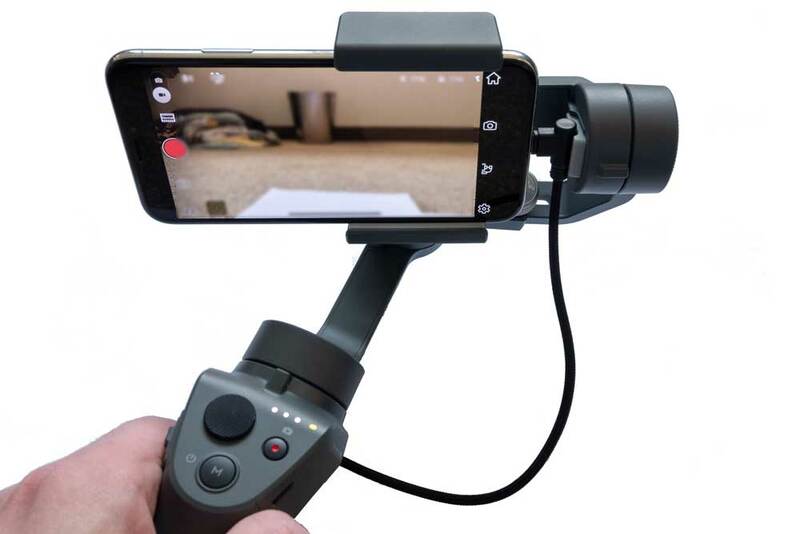 Be the first to comment on "Franken-Cam: DJI Osmo Mobile 2 with Zoom H1n, Rode External Mic, iPhone X & GoPro"